Rasha had our Michigan DJs at her Dearborn Birthday Party. Now this wasn’t just any regular Michigan celebration. The client decide to make this a Halloween theme. It worked out perfectly because her birthday fell in the same month as the holiday. So everyone was able to come in costume and enjoy the evening. This was mostly for younger guests, but they really enjoyed the party. Rasha had a ball! All of her friends were there, and they were accompanied by their parents. What I really like about Halloween, is how unique people get with their costumes. Rasha was a HUGE fan of mermaids, so the family hired a Princess Ariel to sing songs from the ‘Little Mermaid’ throughout the evening. Of course, she was also dressed for the part. The younger guests loved how they could interact with the singer, it made for a great experience. Once everybody ate the food, it was now our disc jockeys turn to get her birthday started. Our main job was to interact with the family and friends. We did a variety of games and contests to break the ice. The client purchased party favors and we were able to hand those out to guests during the interaction. A couple of the games we played included limbo, pass the pumpkin, ultimate dance off, and best costume contest. The music was geared more towards the younger age group. Everything we played was Disney approved music done from the client login. These are the same songs you might here on their radio station. However, we still remembered about all of our parents. We worked in some of the classic throwbacks for them here and there. I have to say we had about a solid hour and a half of dancing. With about 75 guests at the party, it was a nice turnout. Our staff actually ran out of room on our music sheet for requests. Thanks again for inviting us Rasha! It doesn’t matter if you are planning a large wedding reception of smaller Halloween celebration. Encore has all your bases covered with options galore. You can choose from DJs, uplights, and color changing booths. All of these services can be bundled together. If you only need one service we can offer that as a stand alone option. If you are planning your event and need help with bundled disc jockey pricing, go ahead and click the image below. We look forward to giving you an Encore Performance. 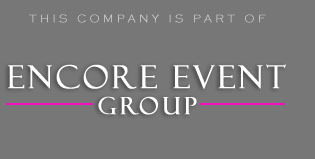 For info on how Encore can help you plan your party, e-mail us here or call 877.643.8368.